It was wonderful waking up this morning with a beautiful dream. My morning dream brought several different textiles.. Some new impressive textiles, Others were dusted, under them found a "- - - -"
It started indoors, Israel, day light. Finished outdoors ,completely different place..peacefully splendid unknown landscape, far away, in a different climate, Night. I wish I could dream it further more, yet, I got up.. with the need to remember it. Thanks for viewing and commenting, I truly appreciate your time. 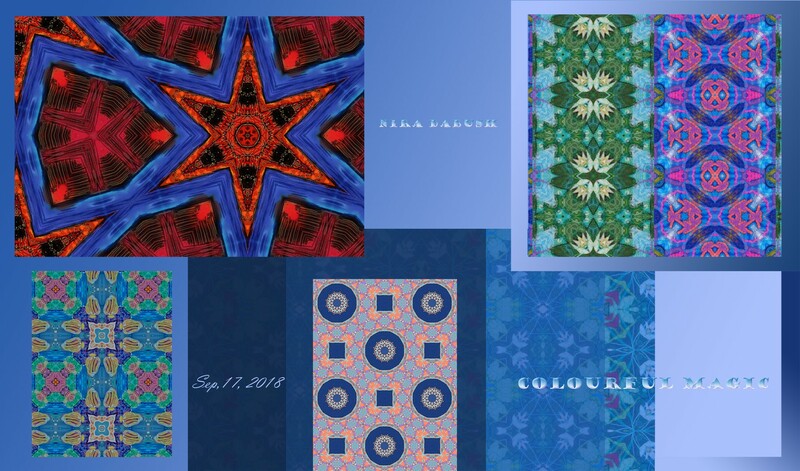 Design/Interactive Mixed Media Abstract textile designer nira dabush colourful agic studio israel life dream peepers free safe privacy is a must! Artist Reply: Al, it is true..it's also our choices of what to do or not , or priorities in life. Thank you.